January 6, 2013 579 × 515 Epic Shelving Disaster!!! 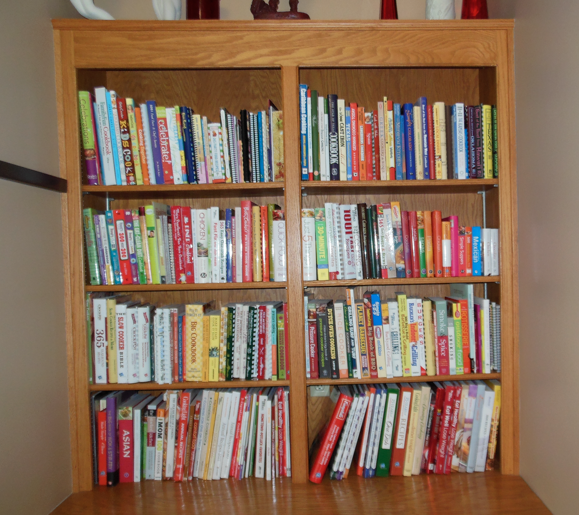 Maybe 1/3 of my cookbooks – I have a small problem! !